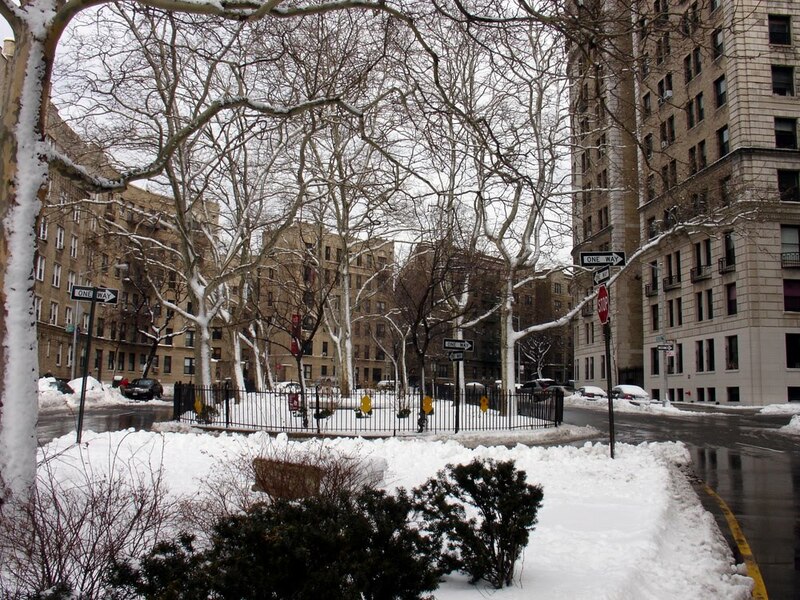 By Friday afternoon, when the white hurricane ended here in Audubon Park, 20.8 inches of snow had fallen in New York, the fourth-largest one-day snow storm since record-keeping began in 1869 and at more than three feet for the month, the snowiest February in the city’s history. 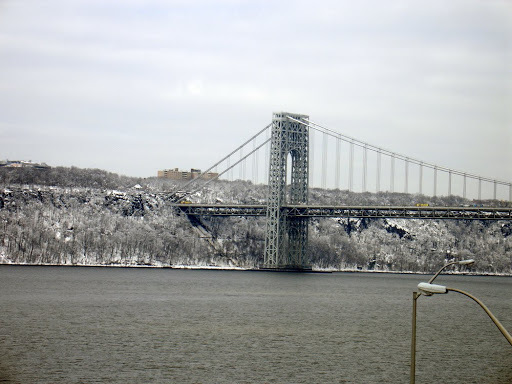 New York snow transforms winter gray streets into sepia postcards brushed dazzling white, nature’s apology for naked trees and steel skies. The mounds of white are a temporary inconvenience for pedestrians, but a major hassle for anyone who parks his vehicle along the streets. Armed with snow-blowers, shovels, and salt, building staffs clear sidewalks, throwing piles of snow on top of parked cars, while city workmen plow the roadways, pushing huge white mounds against the other side of the vehicles, converting them into immobile snowy hillocks between the sidewalks and streets. As drivers dig out their cars, pedestrians move freely, only coming to grief at street corners; there, climbing over small mountains of snow or when it begins to melt, wading through moving, frigid currents, we engage in Urban Winter Olympic sports. 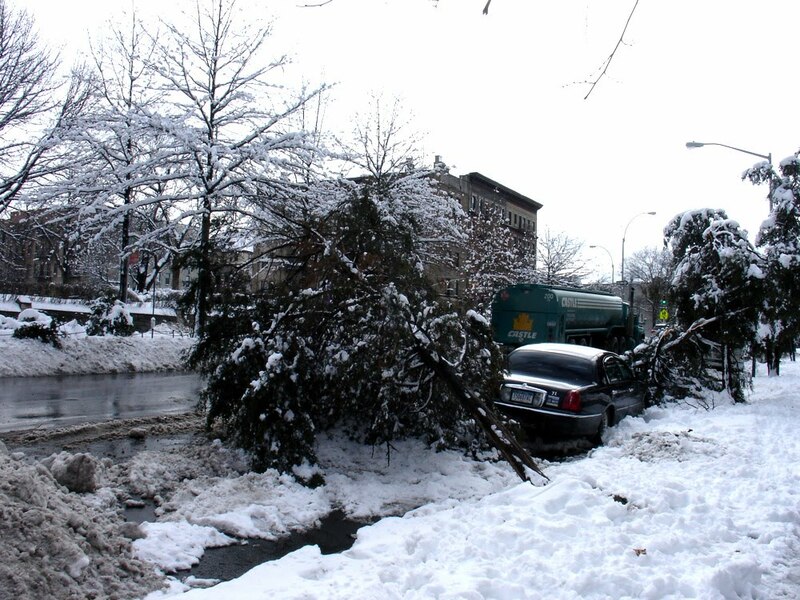 …more snow fell, and it stayed longer on the ground, for no attempt was made to clear it from the streets. As soon as a heavy snow fall came, the high-wheel stages, drawn by two horses, were put aside, and low box sleighs on bobs took their places. The beds of these sleighs were full of straw and people crowded in them sitting on seats at the sides. Two, four, or six horses, according to the depth of the snow, drew these sleighs pretty swiftly. Boys and young men on the sidewalk sometimes snowballed the passengers, who protected themselves as well as they could by their coats and coat collars, and everybody was jolly and friendly. No doubt, a snowball down the neck did not really make everyone “jolly and friendly,” but the inconvenience of severe weather does seem to bond people, if only for the sake of mutual commiseration. When I ventured out today, I found some sidewalks cleared – those in front of most apartment buildings – but with snow still deep on others, walking in the plowed streets with other pedestrians was the easier option. 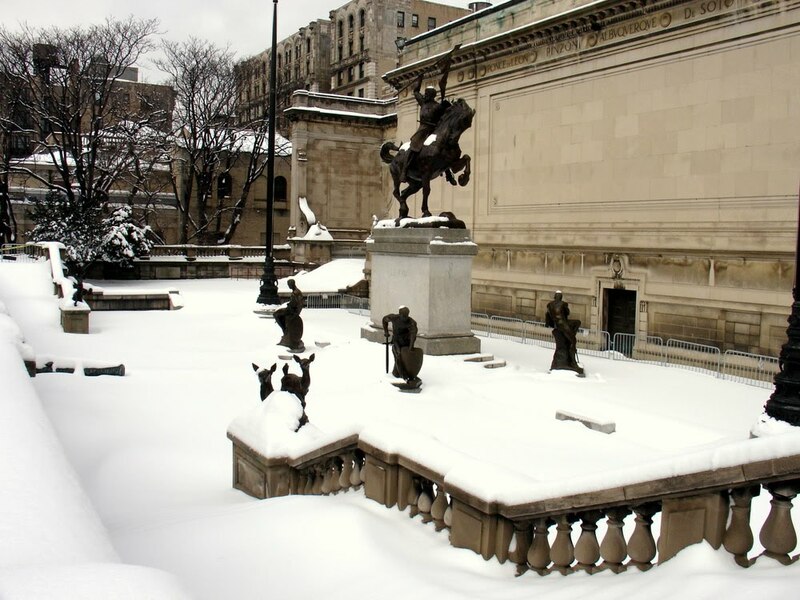 On the plaza at the Audubon Terrace Museum complex, Anna Hyatt Huntington’s bronze El Cid loomed over a frigid landscape, his uncovered head capped with white; nearby, bronze deer foraged in the snow, unfazed by their Sisyphean task. 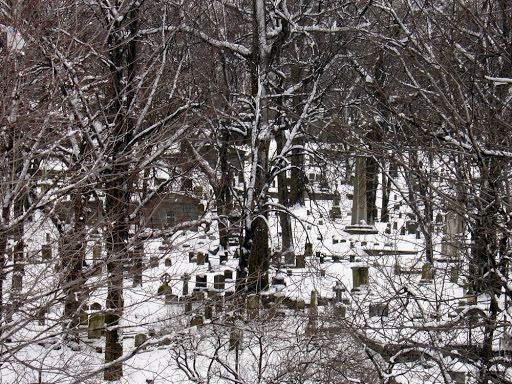 In Trinity Cemetery, the stark white background accentuated every element of the iron fence, converted bare trees into a twig ceiling, and threw stone monuments into cold relief. Absorbed in the scene, I momentarily foregot that in only a few weeks these bare trees will be budding, the daffodils and crocuses – oh, alright, croci if you must – already pushing through the soil before the snow arrived, will be blooming, and the white hurricane of 2010 will have faded into memory. Then, reality took over, my feet are cold, my hands numbing, so I trudged back home where I could admire the winter transformation from a warm, snug apartment. Tyler family collection of John James Audubon. Gen MSS 85. Box 2, folder 50. Series I. Audubon Family Correspondence. Audubon, Victor Gifford / 1825-55, n. d. [15 of 21 folders]. Posted in Audbuon Park, Audubon, Audubon Park, Audubon Park Historic District, Audubon Terrace Historic District, George Bird Grinnell, snow, Trinity Cemetery, Washington Heights. Bookmark the permalink. Appreciate the beautiful photos and the historical perspective. Doesn't sound like your trees were too badly hit. Here in northern Virginia, we were spared this last storm, but we had severe tree damage in the storms of mid-February. Particularly affected were the Magnolia grandiflora (commonly called southern magnolia, a tree that is not hardy further north) and other trees that retain leaves through winter (e.g., holly). Boxwoods and other shrubs also fared poorly. Even though it is warming up here, the weather continues to wreak damage to our foliage. The other day I saw a tree with heavy buds that had dropped a large limb as a consequence of high winds. Thank you for sharing these beautiful pictures of the snow in the Audubon Park area. 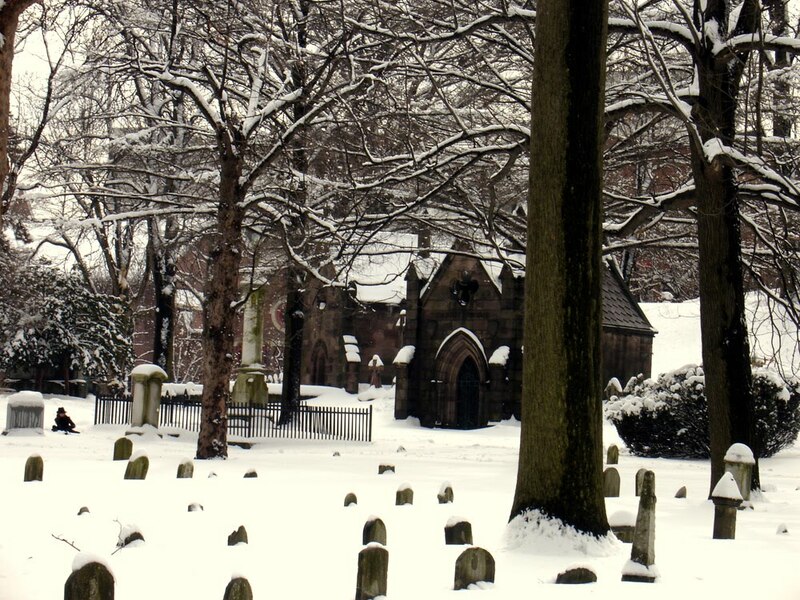 The first snow fall is always incredibly beautiful even in a city.